York University Language Institute students living in homestay have more opportunities for speaking English on a daily basis. Students who choose homestay have an opportunity to live with a Canadian family during their time at the York University English Language Institute. Homestay provides students a chance to have a true Canadian experience by sharing daily life with Canadians; to speak English outside of the classroom; and to have a supportive and comfortable environment while living in Canada. The families are Canadians living within a 45-minute commute from the York University campus. Our families range in size from one family member (a Homestay parent) to five people (two Homestay parents and three children). Some of our families have pets. Many of the homestay parents work during the day, either full time or part time. 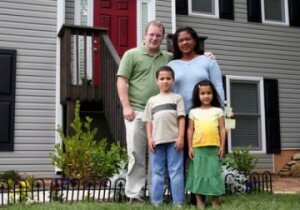 Our families live in apartments, condominiums, bungalows or two-storey homes. Our families are interested in hosting international students because they want to learn about other cultures; they want to welcome students to Canada; and they want to help students improve their English skills and learn about Canada. They have different ethnic backgrounds, but all speak English at home, and enjoy providing a warm and welcoming environment for new students to Canada. Homestay is generally not recommended for those students who have very strict food requirements or diets, or for those students who prefer living very independently. Homestay is for those students who are interested in a unique experience; are flexible and interested in learning a new culture and experiencing a different lifestyle; want to make life-long friends; and are comfortable sharing living space. To make a reservation for homestay or find out more information, please click here. York University and English Language Institute offer an airport welcome and transportation service for York University English Language Institute’s international students and visiting scholars. Students who have made a reservation and submitted the fee will be met by a CampusServus employee with York University signs in the airport’s arrivals lounge and transported to their residence on either of York’s campuses, or to another address in the Greater Toronto Area. To make a reservation for airport welcome or find out more information, please visit the website.